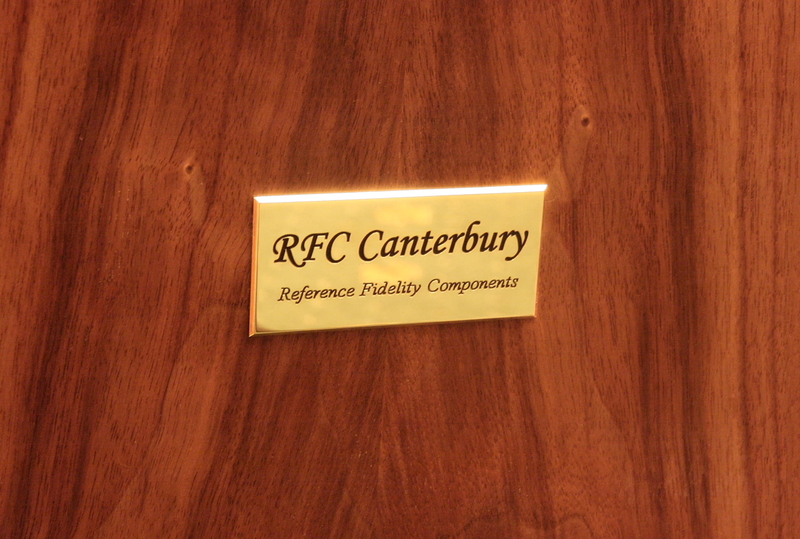 The RFC Canterbury is currently RFC’s flagship hand-crafted loudspeaker, the results of painstaking development in cabinetry development of a classic corner cabinet brought bang up to date in terms of structural design, quality and the standard of sound reproduction. 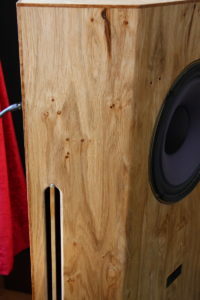 Modern methods of finessing wound quality through painstaking analysis of panel harmonics, plus rigorous attention to the design and quality of the matching point to point hand crafted crossovers, honed by both measurement and many months of listening tests to perfect what we believe to be the finest loudspeakers currently available anywhere to use these beautifully engineered drive units. The results speak for themselves. Please contact us for an audition to hear these wonderful loudspeakers. 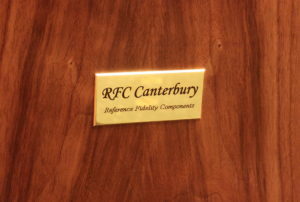 The RFC Canterbury is designed for use with the venerable Tannoy HPD315 Dual Concentric drive unit, which can be supplied either by the customer or we can supply a suitably refurbished pair (new cones, suspension, voicecoil and surrounds). These are expensive drive units to get hold of and despite the advances in modern drive unit technology, the HPD still ranks as one of the finest dual concentric drive units ever made. 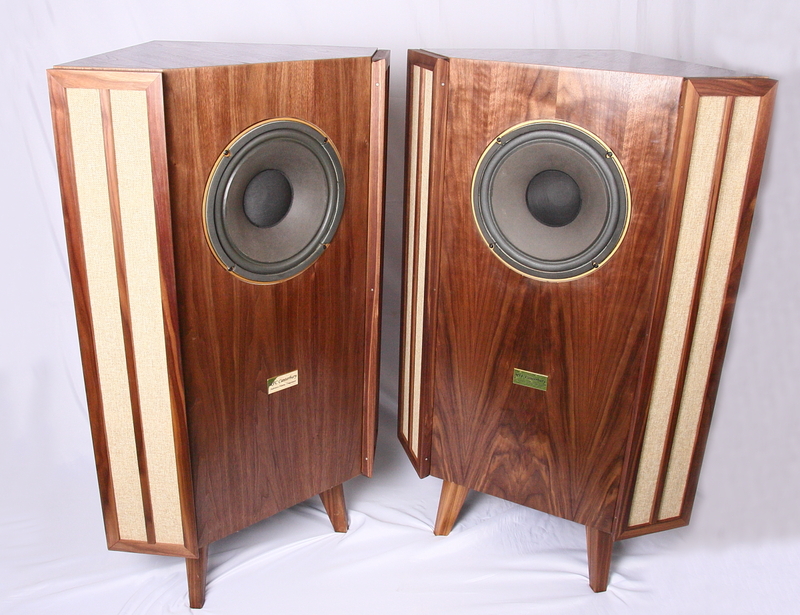 Cabinets are loosely based on the older Tannoy corner cabinet but the similarity ends there. Don’t be fooled…these are no run of the mill cabinets! They have been designed using principles of structural analysis to optimise panel stiffness whilst controlling the release of stored energy, using the same RFC “Constrained Panel Design” principles of the Raptor and Rhapsody loudspeakers. Internally, extensive bracing is used to both distribute forces equally and to restrain panels in order to create sub-panels calculated for differing resonant frequencies. This dramatically pulls down the amplitude of panel resonance compared with many conventional ‘speaker designs. Glues have been chosen so that energy is partially absorbed at joints. 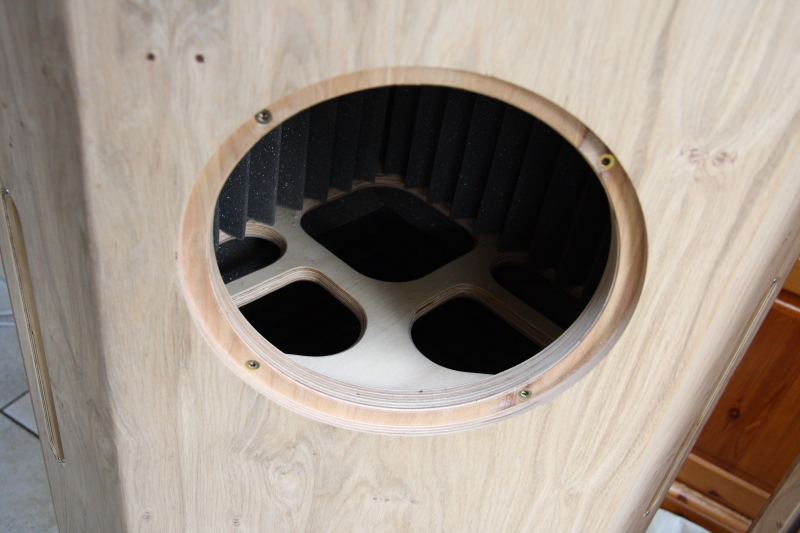 The corner cabinet shape isn’t actually primarily intended for solely corner use, in fact we wouldn’t recommend stuffing these into corners without a change in vent tuning (this can be done on request). The triangular shape is inherently stiff as well as having angled internal faces which drastically reduce unwanted reflections back through the drive unit, something which contributes to their amazing clarity and retrieval of detail. 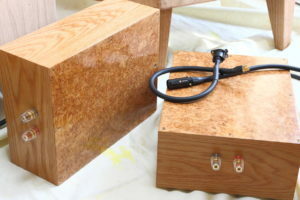 These can be placed close to a wall or in free space and are not too placement fussy. 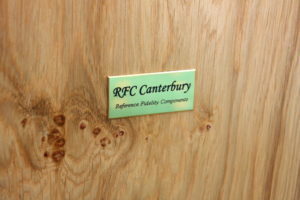 The inside faces of the cabinets have been treated with a special butyl poly-elastomer to mass load internal surfaces and absorb vibrational enrgy, as well has having acoustically absorbent panels internally In conjunction with the panel design, this offers unrivalled levels of clarity for such a large, wide baffle design by both limiting resonance amplitudes well below program and by time limiting resonances due to the damping. Tuning is effected by side vents specially designed to increase the perimeter to area ratio over a circular port and in doing so to increase vent inside boundary friction which has a slight modulating effect both mechanically and electrically on the drive unit which has the effect of slight impedance modulation. The vent area is large overall compared with the area of the drive unit ensuring excellent room coupling characteristics without any audible “chuffing” and the tuning point is chosen for extended bass performance. Each cabinet is hand crafted using the finest materials which include dense Latvian long grain Birch Ply of a specific density, solid European Oak edging (varies with model) and fine hand selected premium veneers applied using both traditional hand veneering methods and for some panels, modern vacuum presses. 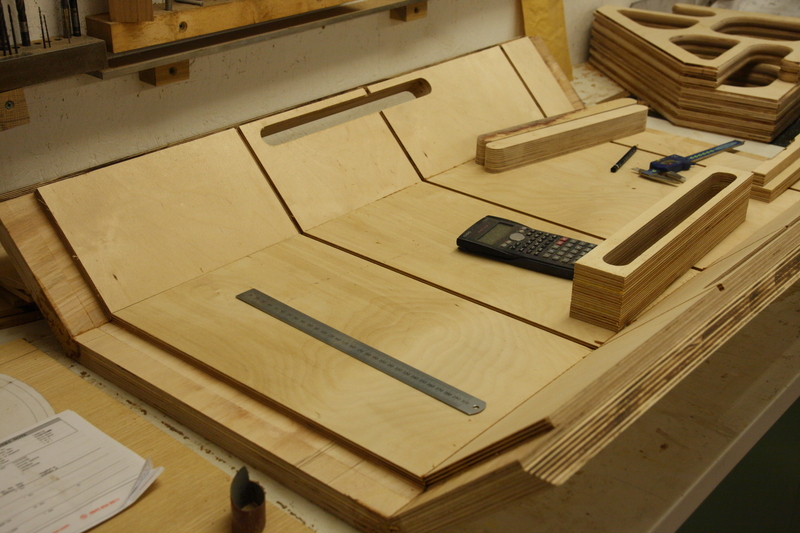 The internals also have a balancing veneer to prevent any future warpage or movement of panels although this isn’t strictly necessary due to the dense internal bracing employed. Attention to detail and high standards of craftsmanship are employed to provide a premium product that is truly a “final destination” product of quality. Sound quality is simply sublime. 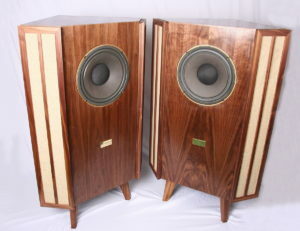 Forget what you think you know about “vintage Tannoys” as these have more in common with electrostatic loudspeakers such as Quads, through the midband region which has a startling clarity that can only come from perfected, properly time aligned drive units and superlative cabinet design. Response is nice and linear with the f3 point being way down at 32Hz (free space) and in-room these have powerful but taught base audible way down into the mid 20Hz region, an astonishing accomplishment for the superb HPD 315 which realises it’s full potential in these fine cabinets.Frequency extends up to 18KHz before the horn tweeters start to roll off past 20KHz. Musically, they suit just about any type of genre you can mention, doing (more than!) justice to everything from heavy rock music to full orchestral, choral music and for simpler compositions of voice or instrument. One of their special qualities is the amazing accuracy of timbre, a result of having direct sound radiating in 2-pi space to quite a low frequency thanks to the baffle width and shape. This eliminates/controls some of the early reflections in the mid-band normally associated with more narrow baffle speakers and combined with the shear rigidity of a front baffle almost two inches in thickness (which is also heavily braced!) ensures that it’s sound quality matches it’s looks. Another strength of this loudspeaker is the speed and dynamism of response. Close your eyes and you’re sat mi to rear of the concert hall and when the orchestra or band strikes up, the immense scale is conveyed with both tremendous speed and control! Bass quality is exceptional. Forget everything you think you know about ported speakers. 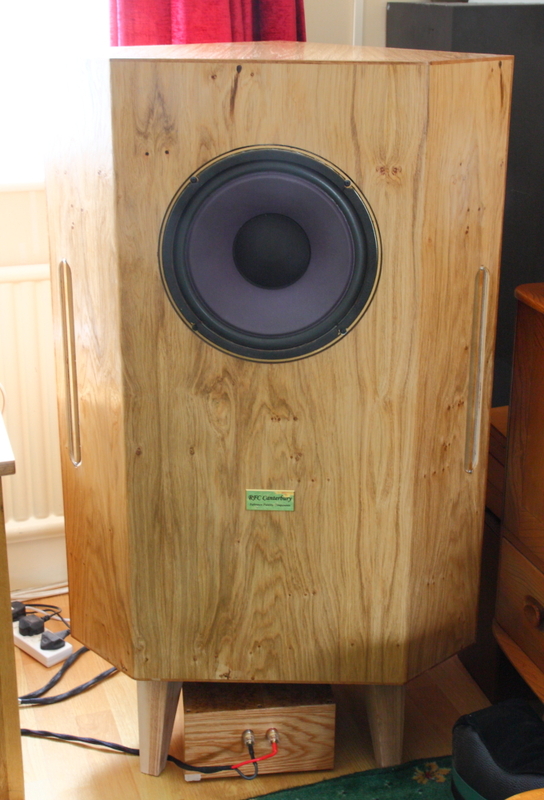 These sound much more like sealed cabinets such is the speed and clarity of the bass which plumbs to amazing depth, more than enough to deal with full scale organ works or deep charging Reggae beats! Many loudspeakers when challenged with the purity and nuances of close recorded human voice, Cello or Piano fail at the first hurdle, often sounding like a pale imitation. These pass with flying colours conveying every nuance and timbre which sounds amazingly life-like. Whilst such ‘speakers do not come in at the budget end, these remain a positive bargain compared with the cost of equivalent performance from more mainstream brands, few of which can match the hand crafted quality and attention to detail at every level of design and construction. 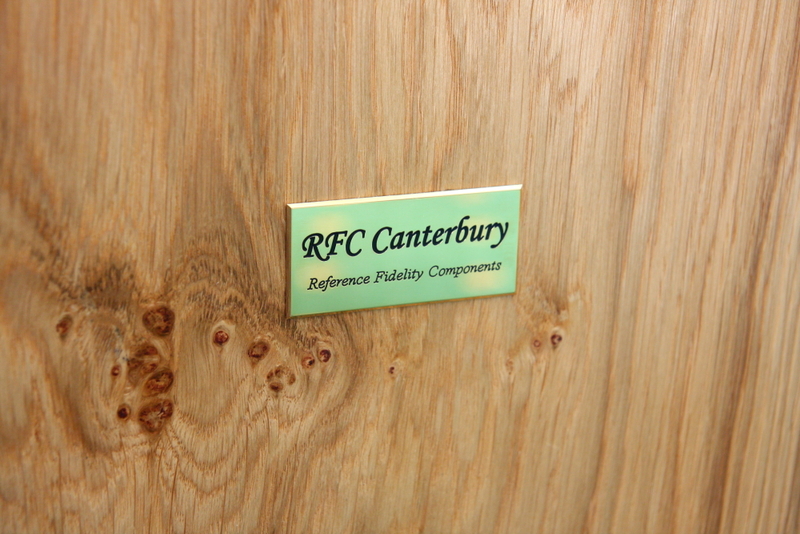 These are available in a range of real wood veneer finishes and you can also specify your own precise requirements for finish. Price is dependand upon final finish and crossover specifications but for a completed pair start at a very modest £8,995. Cabinets and crossovers only start at £7,495 (inclusive of all components and wiring kits necessary). Finishes: Red Cherry, Walnut, Oak, Burl veneers *(various…please ask), Wenge, Sapele, Teak (quarter cut straight grained), Maple or a combination of various veneers to special order. Finish can be multiple oil coats (fine furniture finish which emphasises grain), water based polyurethane (satin or gloss) or Hardwaxoil finish. Delivery: tbc at time of order but generally within 12 to 15 weeks from placement of order depending on workload. Local delivery is possible for an expenses fee or pick up from Dursley, Glos.